Can you believe it? Summer is right around the corner (though the weather leaves something to be desired) AND the new catalogue has launched! You've arrived from Melissa Stout on your tour of the SUDSOL blog hop. Weren't her designs WONDERFUL?? You're sure to find LOTS of amazing things on the SUDSOL website. It's a demonstrator only site and worth every penny you pay for membership. There is SO much information that demonstrators share with each other. 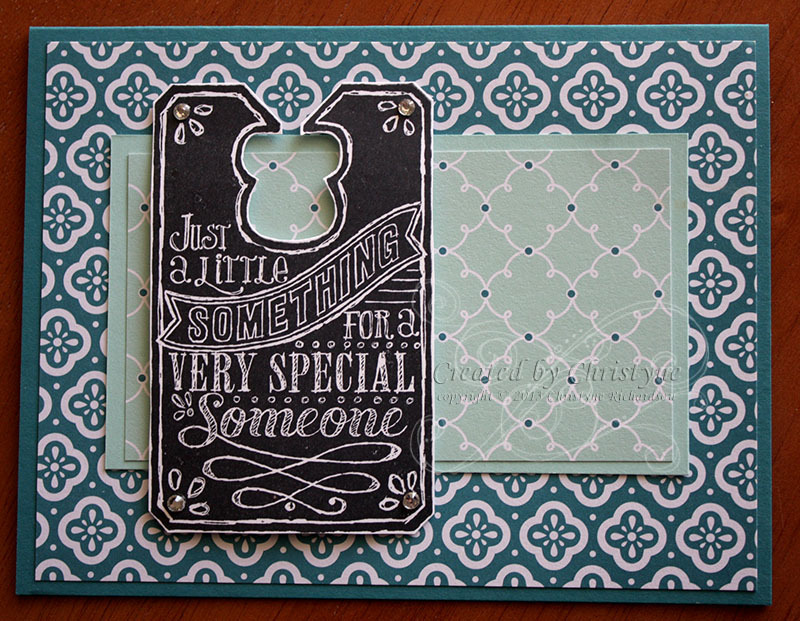 Check out these cool new things and create some of your own stamping happiness! 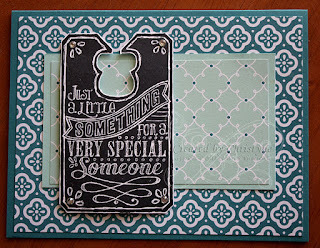 I just love, love, LOVE this new stamp set! It's called Chalk Talk and I just KNOW you're going to love it too - especially since it has a Framelit set available to cut out all those awesome shapes! Better yet? Get it as a bundle! My second card features Soho Subway Designer Series Paper. The vintage/retro designs on this paper are wonderful to work with. That they work with my newly discovered Dynamic Duo, makes my heart sing! Don't you just LOVE Crisp Cantaloupe and Calypso Coral together? I discovered it quite by accident thanks to one of my downline. 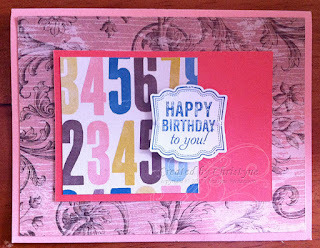 My card base is Crisp Cantaloupe and the small mat is Calypso Coral. The image from Label Love is stamped in Island Indigo and punched out using the coordinating punch. Just like the Chalk Talk set featured in my first card, Label Love and the punch are available as a bundle too! If you look REALLY closely, you can see the two teeny, tiny pearls on either side of the label. I love adding those little finishing touches! There's a blog tour coming!!! Come back on June 13th for some fabulous projects using new goodies from the 2013-2014 catalogue!